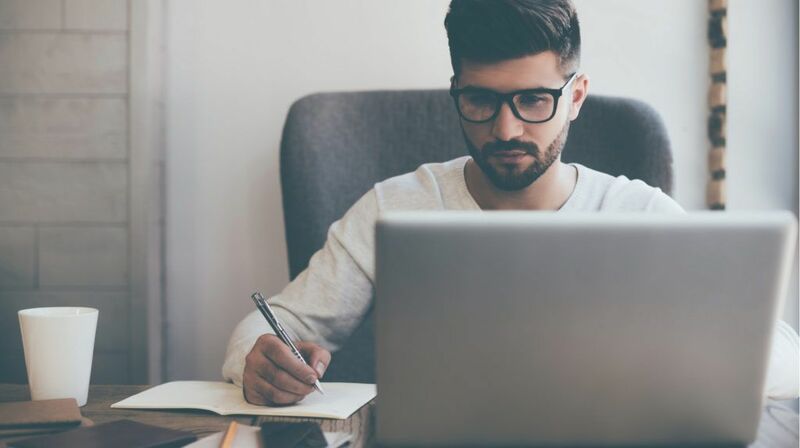 Learn seven common types of employee onboarding videos that can help new recruits learn more, feel more connected, and remain loyal longer. With the right video platform and onboarding program in place, employees learn more, feel more connected and remain loyal longer— all at significant cost savings to the company. But what kinds of onboarding videos can your team offer? There’s almost no end to the kinds of onboarding videos your team can share. Previously, we outlined 8 common types of employee onboarding videos. Today we’re back to add 7 more to the list! Discover how to make every first day a great one with 15 key tips and a simple guide to creating an onboarding program that works. Every office has its own unique combination of programs, processes, tools, and technologies for getting work done. Whether it’s showing how to use your HR software to file forms or request days off, how to find the company calendar and address list to schedule meetings, or how to access intranet tools like your VPN, CRM, or Video CMS, a quick video demonstration provides a helpful resource for your new hire — that will likely be appreciated by your veteran staff, too. Along with familiarizing your new hire with your organizational tools, your onboarding program must help employees get up to speed with the tools required of their specific roles. Often this type of training will rely on the hiring manager or the team subject matter expert to show their new team member how to best utilize the team’s tools, systems, or resources. For sales teams, this may mean learning the company selling model. For marketing, it could mean learning your marketing automation software. For IT, it might mean detailing legacy software or integrated systems. Often the best instructor may often be the new hire’s predecessor — they may be able to share detailed instructional videos as part of their own transition out of the role. Most organizations already document job skills today with dense documents. Video can help to clarify that instruction, allowing your experts to record their own screens as they work through a common process or walk through a routine request. Your new hire can then rely on that video as a guide as they tackle those challenges later. Training is more than technical and process demonstrations. As organizations increasingly emphasize soft skills and interpersonal interactions with colleagues and customers, training in these skills is essential to new hires approaching their roles in the right way. Using role play videos, new employees can watch reenactments of the types of customer interactions that will be part of their job. Employees can even perform reenactments themselves, then review the videos later. Coaching videos can also be made (whether on the phone, in a web conference or in a live presentation) as employees settle into the new role. While consistency is an overarching goal of any onboarding program, there is value in recognizing the differences in how your organization operates location by location. These can be especially valuable for global organizations, or those that rely on a franchise or retail model to serve customers. Location-specific video can be produced as a way for local management teams to show how they serve their customers. Such training can help to bridge the training messages from corporate headquarters with the daily instruction of on-site management. One of the newest best practices in corporate training is social learning — instructional videos made by peers, for peers. They are now an essential part of any onboarding and ongoing training process. For many organizations, social learning videos can be a goldmine of institutional knowledge — the advice of your twenty-year veteran, or your subject matter expert’s answers to frequently asked questions. These videos can be quickly and easily made — and can repay the company in productivity many times over. Every organization’s social learning library will have a unique set of must-see recordings of advice from its own experts. Curating these to include in your onboarding program will help your new hires learn the inside tips that build your competitive advantage. Organizational events and conferences serve several vital purposes. 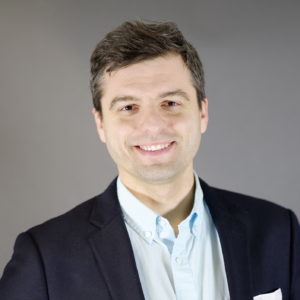 Not only do they allow your leadership to disseminate relevant information, but they can also give your entire team the opportunity to connect, share ideas, and better see the company’s mission and strategy. That’s doubly true for new hires, who will likely have the most to gain from seeing what’s new and relevant across the broader organization. Attending these events in person, however, often comes at a price — along with the time commitment required. IBM, for example, has reported  that 40% of its classroom training costs were spent on travel and lodging alone. When attendance isn’t possible (or at least practical), watching a video recording of the event can be the next best thing for new employees. Benefits and enrollment videos may not be the inspiring stuff of culture pieces and knowledge sharing videos, but they fill an incredibly important role in the onboarding process. On-demand video access to standard HR information means that employees can find exactly what they need, exactly when they need it. That will be essential knowledge for any new hire — and more than likely, a big help to many existing staff members as well. 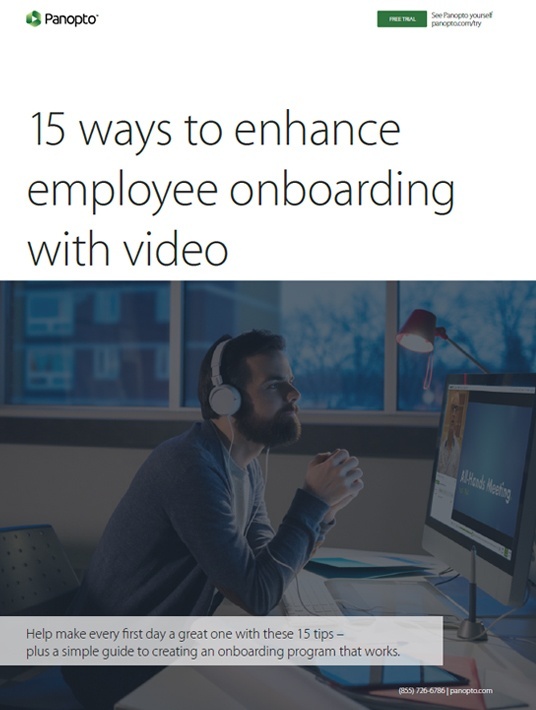 If you want to learn more about employee onboarding videos, download the free eBook 15 Ways To Enhance Employee Onboarding With Video today or watch the webinar Using Video In Training: What To Look For And Why!